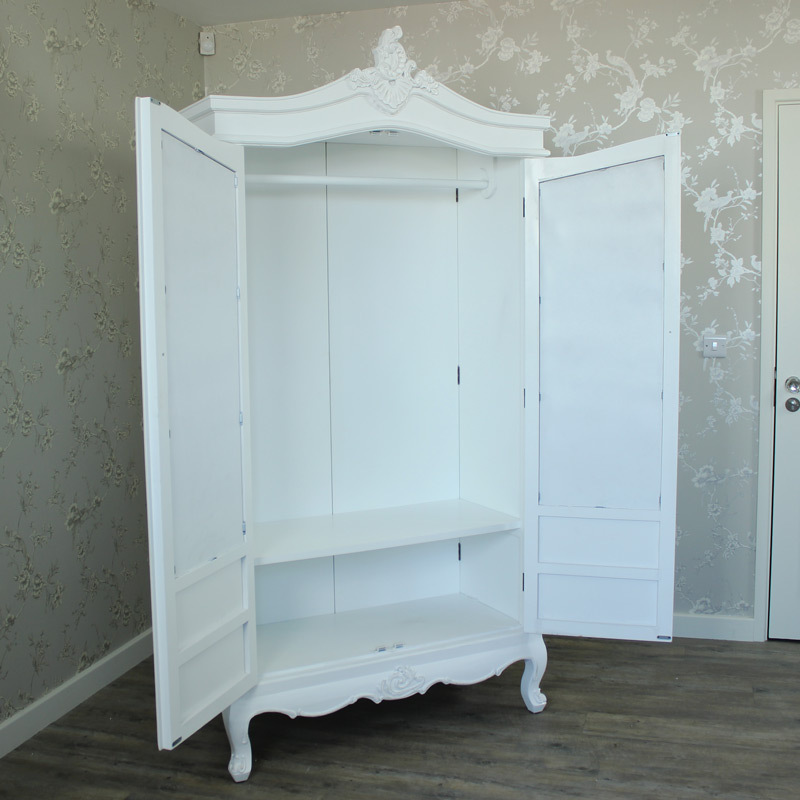 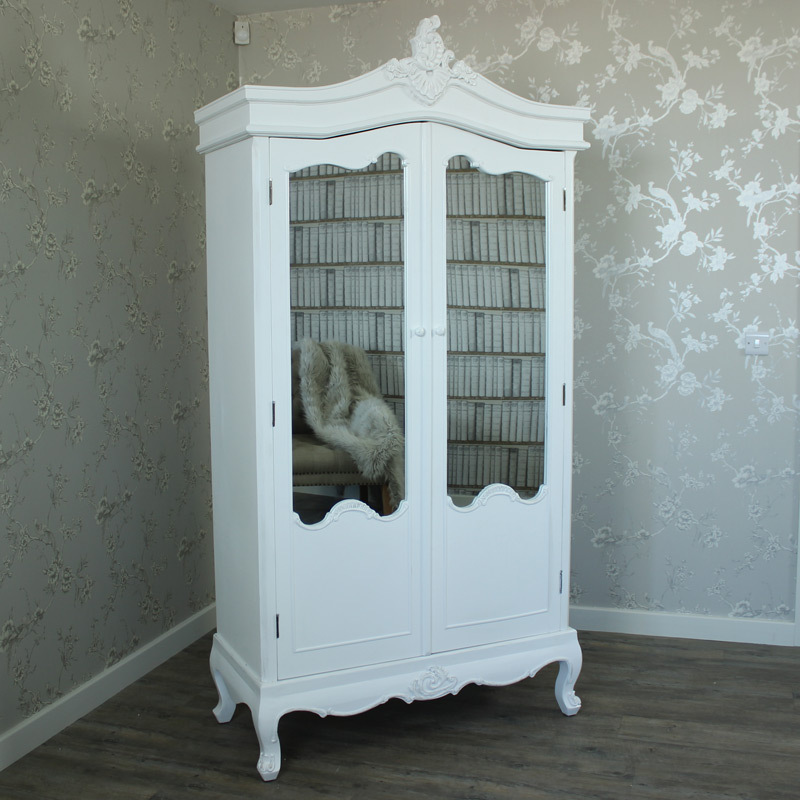 A beautifully presented white vintage style large double wardrobe with mirrored fronted doors in a French armoire style. 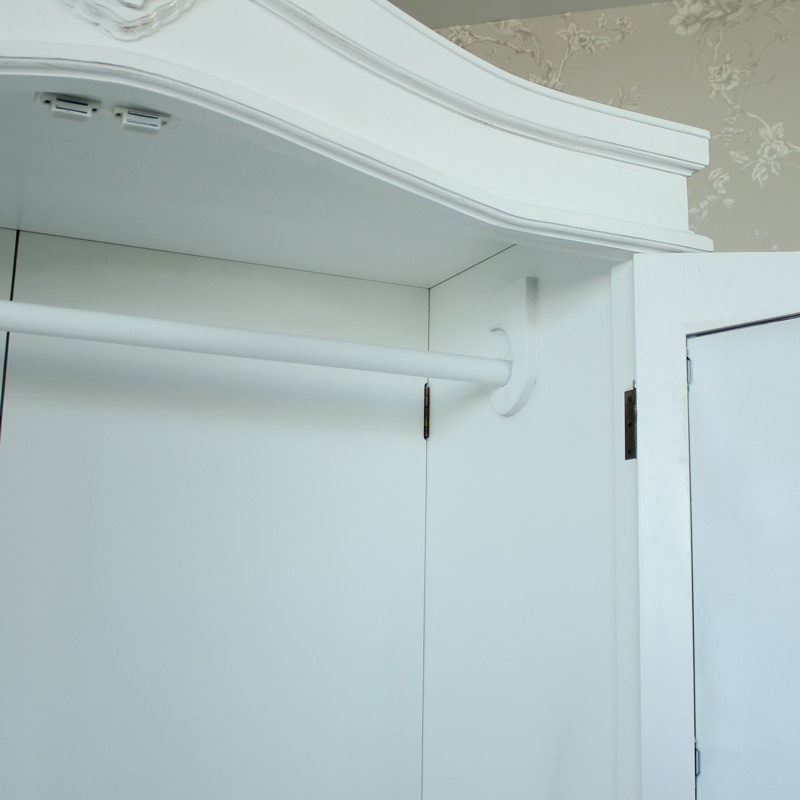 Providing ample of storage with one interior shelf and removable pole. 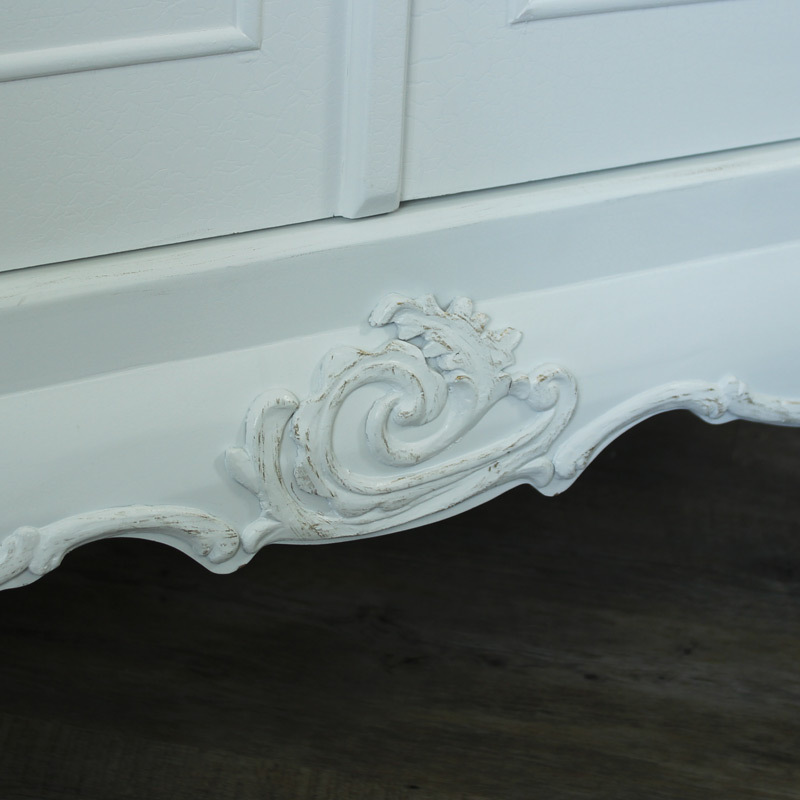 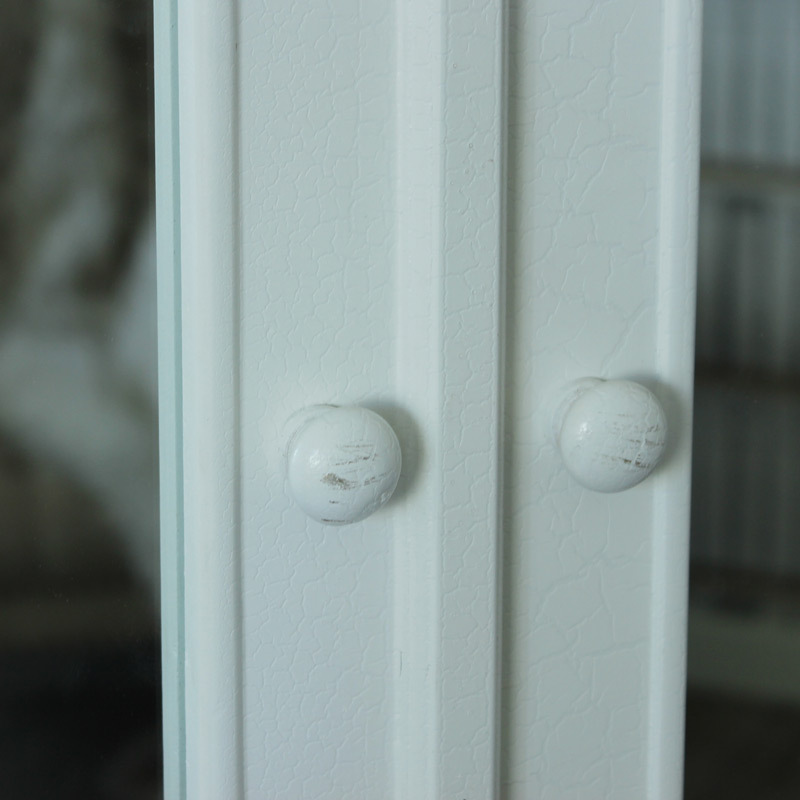 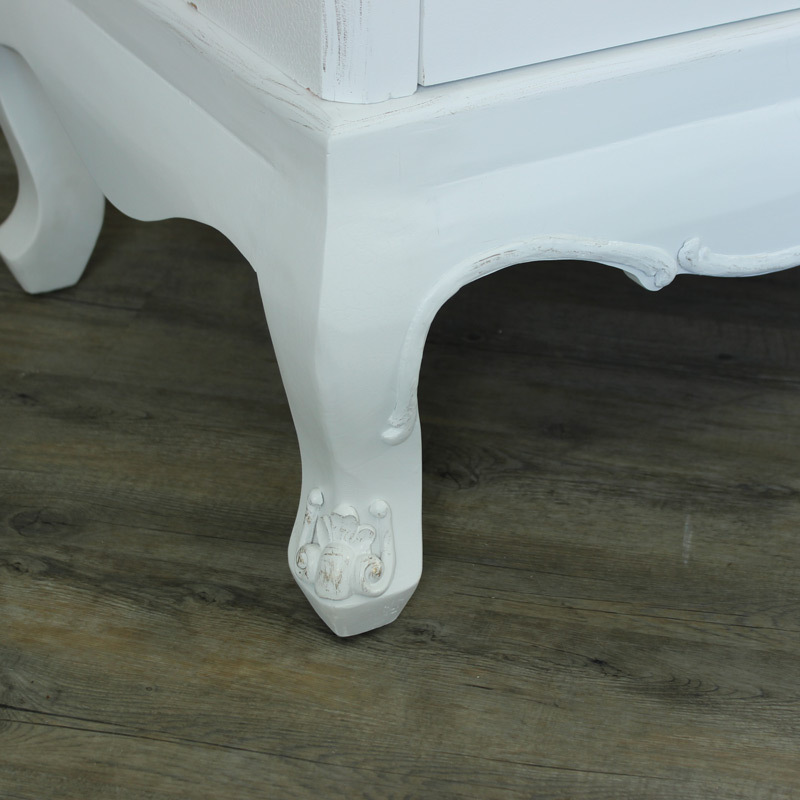 In a painted antique white with a crackle effect finish and stunning ornate French style carving throughout. 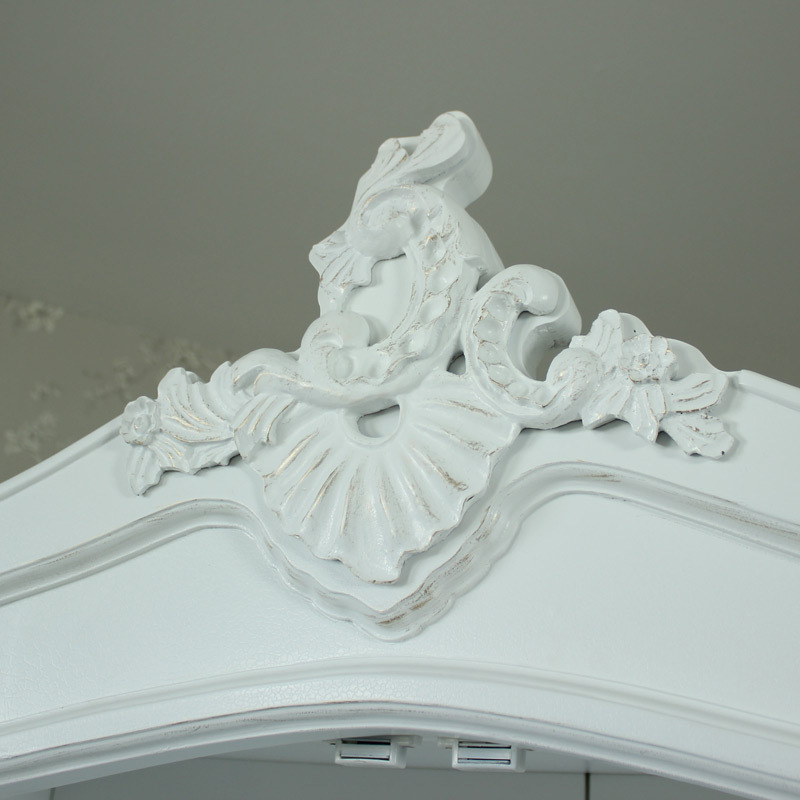 Perfect for adding to a Vintage look bedroom or dressing room.